What are some of the most effective job search methods? Below is a list of job search tips and resources which will help make your job search more effective. There is little doubt that finding a job can take a great deal of time and effort. But you can make the process go faster and more smoothly by using a variety of methods to find open job positions. Data from the Bureau of Labor Statistics suggest that people who use many job search methods find jobs faster than people who use only one or two, which makes perfect sense. Never put all of your eggs into one basket, right? Personal contacts (also known as Networking). Many vacant positions are never advertised. People find out about these jobs by talking to friends, family, church members, neighbors, acquaintances, teachers, former coworkers, and others who know of an opening. For this reason, it is important to tell people that you are looking for a job. Why? The people you know may be some of the most effective resources for your search. Often they will hear of open positions before they are advertised to the public (if they are advertised at all). If you want to develop new contacts (networking partners) join student, community, or professional organizations or find out where job networking groups are meeting in your area. Employers. 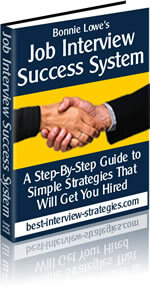 Directly contacting employers is one of the most successful job search methods. This job search technique is often overlooked, too. Do some library and Internet research and create a list of prospective employers in your industry. Then call these employers to find out if they have any job openings and where they would be posted. Often, you will be directed to the company's website. Even if no open positions are posted, do not hesitate to contact the employer: You never know when a position might become available. Classified ads. You can find these ads in newspapers and the Internet (craigstlist.org being one such website). They list a variety of jobs and the means for applying for them. Unfortunately, this is one of the least effective methods of securing a job. Internet resources. The Internet has many job search websites. Some job boards provide National listings of all kinds and others list local openings. Some web sites actually aggregate or bring together job postings from a variety of web sources. For instance, www.indeed.com included job postings from Monster.com, careerbuilder.com and others. To find potential job opportunities, begin with an Internet search using keywords related to the job you want. Also search for sites of related professional associations. Another job search resource that involves using the internet is checking Internet forums, also called message boards. These are online discussion groups where anyone may post and read messages. Use forums specific to your profession or to career-related topics to post questions or messages and to read about the job searches or career experiences of other people. Professional associations. Many professions have associations that offer employment information, including career planning, educational programs, job listings, and sometimes even job placement. In almost all cases, you will have to be a member of the organization in order to use their services. However, being in a trade association or professional association also looks good on your resume. Private employment agencies and career consultants. Private employment agencies can save you time and they often have contact with employers who otherwise might be difficult reach, but they can be expensive. Most operate on a commission basis. Many times, the fee must be paid in advance of the job search, too. This can cost thousands of dollars. Sometimes this kind of service can be helpful if you have exhausted other job search options. School career planning and placement offices. High school counselor offices and college placement offices help their students and alumni find jobs. Some invite recruiters to use their facilities for interviews or career fairs. Some have career resource libraries which makes it easier to research prospective employers, too. Often, they will review your resume and offer career counseling at no cost, as well. State employment service offices. The State employment service, sometimes called the Job Service, operates along with the U.S. Department of Labor's Employment and Training Administration. Local offices help job seekers to find jobs and help employers to find qualified workers at no cost to either. You can do a search online to find the office closest to you. Federal Government. Information on obtaining a position with the Federal Government is available through USAJOBS, the Federal Government's official employment information system. This website also provides information about how to apply for a federal job, too. Community agencies. Many nonprofit organizations offer career counseling, training, and job placement services. These are generally targeted to a particular group, such as women, people with disabilities, youths, minorities, ex-offenders, or older workers. Internships and Volunteering. Some people find jobs with business and organizations with whom they have interned or volunteered. Look for internships on job boards, career centers, and the company's website. Some internships and volunteer positions come with stipends and all provide experience and the chance to meet employers and other beneficial networking contacts. This kind of "work" also looks great on your resume. Labor unions. Labor unions provide various employment services to members including apprenticeship programs that teach a specific trade or skill. Contact the appropriate labor union for more information. The above job search tips and resources were compiled from the Bureau of Labor Statistics web site.